These are general entires about where I am in my life process and journey with Jesus, and thoughts on new lessons I’m learning. It had been two weeks since I started medication and two months since I started therapy. The world was beginning to look a little less blurry, and my role as mother was beginning to become not only palpable, but enjoyable. 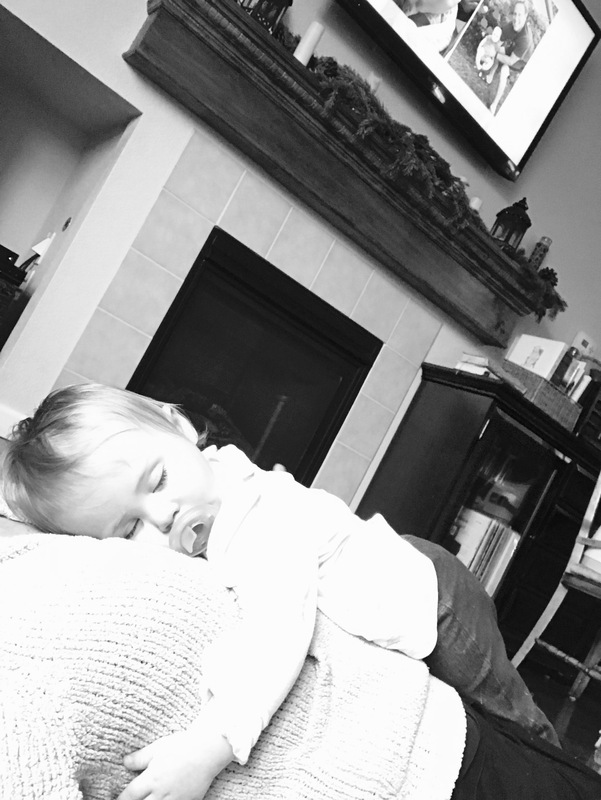 It was as if I was experiencing the newborn fuzzy feelings people told me about, despite the fact that my baby was nearly 9 months old. I was grieving the loss of those 9 months, but I was so excited to be in a different place mentally. Yet something still was not quite right. Though everything else in my world seemed to be bouncing back to normal, one of the most precious parts of my world remained broken: My husband. I’d like to say I’ve entered into this pregnancy unscathed by perinatal depression or anxiety, but I would be lying. Around week 11 I sensed a shift in my body and mind. Things felt heavier. Even brighter moments seemed to be dimmed by a black film that I just couldn’t shake despite prayer and moments of worship with Jesus. My husband noticed my changing mood and demeanor, and we consulted my OB for advice. Ultimately, we decided it would be best for me, given my history, to begin taking a very low dose of my medication again and return to therapy. Before I began re-taking the medication, we were on vacation. I was standing next to a kitchen counter overlooking the beach. Suddenly, I experienced a sudden loss of breath. It felt like my heart was beating out of my chest and my forehead was perspiring despite my standing still. I felt myself getting light headed. I tried to focus on my breath, but that seemed to make things worse. I felt utterly anxious, but could not identify why. It felt like I was physically drowning. It was, what I presume, was the beginning of a panic attack, a symptom many people with anxiety disorders experience regularly. I quickly picked up my phone and texted my best friends asking for prayer. Having been educated in perinatal mental health, I knew this experience was likely a symptom of fluctuating hormones due to the pregnancy. Thankfully, the symptoms subsided. I began my medication shortly thereafter. I wish I could better articulate the strange sensation that I experienced in that moment of panic. 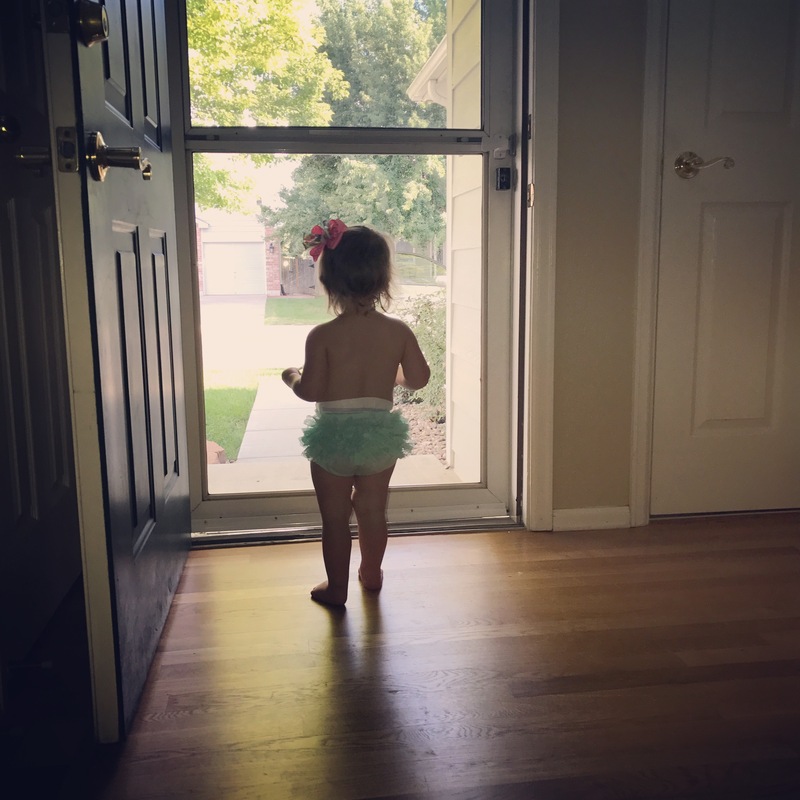 It reminded me of some fleeting moments in my postpartum period after Summer was born. Moments I would worry about going crazy and accidentally hurting her out of my sleepless rage. Fear that I wasn’t cut out to be her mother. Having the most horrendous and unspeakable pictures flash before my mind’s eye of me harming her that I knew were not only absurd, but ungodly. My postpartum experience was much more marked by depression than anxiety, but the tricky piece is that many times women experience bouts of anxiety even when diagnosed with depression. Anxiety is a symptom of PPD. But, there are some women who more prominently identify with anxiety over depression. These moments of panic – of fear – of crushing thoughts that carry heartbeats away – are daily experiences driven predominately by hormones and biochemical imbalances for women with Postpartum Anxiety (PPA). We tend to place postpartum depression and anxiety into one group because so often the illnesses occur simultaneously in women during the prenatal and postpartum period. There is, however, a remarkable difference between the two illnesses. While PPD often manifests as a sort of agitated anxiety among other symptoms, some women experience PPA (postpartum anxiety) exclusively. Approximately 6% of women experience prenatal anxiety disorder. 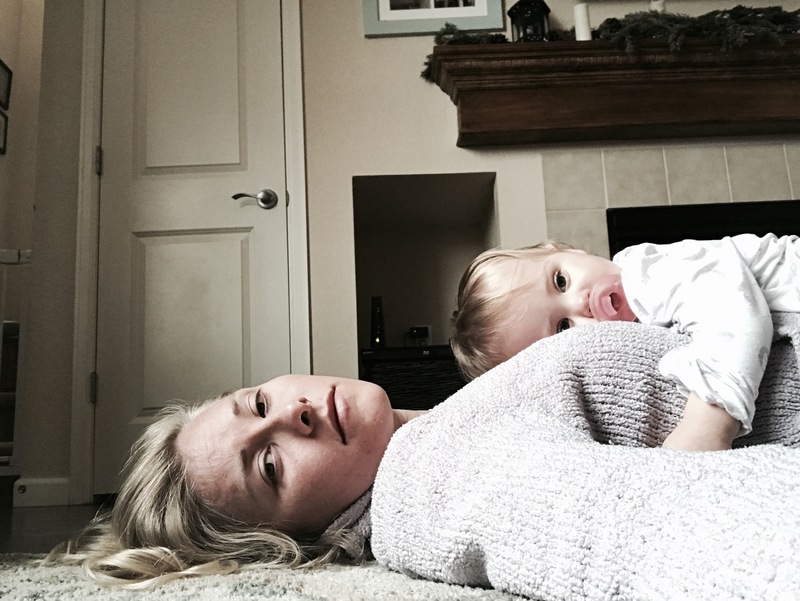 10% of postpartum women experience postpartum anxiety disorder. Though not all women with PPA experience panic, many women with PPA suffer panic attacks. Most women report feeling a genuine fear of dying, going crazy, losing control, and an inability to return to normalcy during these episodes. PPA is treatable with medical help. Women with a personal or family history of anxiety disorders, previous perinatal depression or anxiety or a thyroid imbalance are at risk for experiencing prenatal or postpartum anxiety. Postpartum OCD is a form of an anxiety disorder that includes the classic symptoms as listed above. Perinatal women are 1.5 to 2 times more likely than the general population to experience OCD. 3-5% of new mamas and some new fathers will experience some symptoms of P-OCD, though they may not officially qualify for a full diagnosis. 70% of women previously diagnosed with OCD experience a recurrence of symptoms during pregnancy. Postpartum OCD most often occurs with PPD. The most important attribute of this disorder is that mamas are horrified by these intrusive thoughts or images, and acknowledge that they are unlikely to ever happen. Women with P-OCD often say these thoughts occur randomly, and they find them extremely disturbing. Because these women identify the thoughts as bizarre, they are considered as anxious in nature and not delusional. Perhaps the most interesting research shows that women with OCD have higher levels of oxytocin in their spinal fluids. Oxytocin is a hormone that allows us to see the danger in our child’s world, which is necessary to mothering and raising a child. Oxytocin is extremely high in postpartum women, and some women have more oxytocin in their systems than others. This hormonal flood could cause our mothering instincts to go into overdrive, causing an unnecessary amount of worry, harm avoidance and obsessions. Another key reminder to those suffering from P-OCD is that “thoughts do not equal actions.” We have many thoughts throughout the day upon which we do not act. Allow the intrusive thought to be one of those thoughts. Like PPA, P-OCD is treatable. Women who fear they may be experiencing this form of postpartum anxiety should consult their doctor for guidance. Postpartum Bipolar Disorder is often misdiagnosed, and misunderstood because it can look an awful lot like severe depression or severe anxiety. In fact, 60% of women with bipolar disorder present initially as depressed. Postpartum Bipolar has one of the highest risks of suicide of all the perinatal mood disorders. For that reason among others, it is important we understand the signs and symptoms of this particular illness. Improper identification or treatment can result in a worsening of symptoms. Many women are diagnosed with Bipolar for the first time during pregnancy and/or the postpartum period, possibly because it can be triggered by sleeplessness. There are two types of Bipolor Disorders: Bipolar I and Bipolar II. The main difference between Bipolar I and Bipolar II is the severity of the mania. Bipolar I has manic episodes (more severe) while Bipolar II has hypomanic episodes (less severe). The criteria for this diagnosis is that symptoms must last longer than 4 days and interfere with daily functioning and relationships. With Bipolar II, The manic episodes are less apparent and the highs and lows are not as extreme. Sometimes those with Bipolar can suffer from psychotic symptoms such as hallucinations or delusions, therefore this diagnosis can be quite dangerous. Approximately 9% of postpartum women have postpartum PTSD. This can be caused by a number of traumas including, prolapsed cord, unplanned c-section, use of vacuum extractor or forceps during delivery, baby going to NICU, baby having health issues or extremely difficult temperament, feeling powerless during the delivery, women who have experienced former sexual trauma, women who experienced severe physical complications related to childbirth or pregnancy. It’s important to remember that trauma is always in the eye of the beholder. What may seem traumatic to you may not be traumatic to someone else, and vice versa. Those who suffer from postpartum PTSD tend to avoid aftercare, experience impaired mother-infant bonding, the partner who witnessed birth also suffers PTSD, sexual dysfunction, avoid future pregnancies, exacerbate future pregnancies, and elect planned C-sections for future births. Postpartum psychosis is an extremely rare and dangerous mental illness that occurs in 1-2 in 1,000 postpartum women. This illness is what most of the general public think of when referring to perinatal mental illness due to media coverage of those who have suffered this particular disease. Those who suffer from postpartum psychosis are at risk of committing suicide and/or infanticide. The onset of this disease sets in usually within 2 weeks after delivery. It is important to note that postpartum psychosis is a completely different category than PPD and PPA, with the exception of Bipolar Disorder. 86% of women with postpartum psychosis met the criteria for Bipolar Mood Disorder. Many women with Bipolar Mood Disorders may experience psychotic episodes during periods of mania. Those who are highest risk for postpartum psychosis are those with a family history of bipolar disorder or previous psychotic episode. It is critical to note the difference between OCD and Postpartum Psychosis. Those with OCD know their intrusive thoughts are unhealthy. Women with Postpartum psychosis do not recognize their thoughts are unhealthy or abnormal. Infanticides (the murdering of infants) are one of the most critical risks of postpartum psychosis. The homicide rate of infants is 8 per 100,000 in the United States. Infanticide most frequently occurs with psychotic symptoms rather than PPD. Women with postpartum psychosis rarely have a history of abusing children. Infanticides usually occur as part of a concomitant suicide attempt (mother’s desire for both self and child to die). The reason for wanting to include the baby in the attempt is due to an altered state of thinking: she wishes to not abandon her baby and does not want to burden other people with her child. Typically women with psychosis genuinely believe their actions are in the best interest of the child. Postpartum psychosis is a treatable condition through medication and psychotherapy. Though this condition is rare, it is imperative to be educated about the disease and watch for signs and symptoms of this illness among postpartum women. If you are having thoughts of harming yourself or your baby, arrangements can be made (if safe) that include you remaining with your newborn and/or pumping regularly to maintain a breastfeeding relationship, if that is important to you. Do not remain silent for fear of being hospitalized, stigmatized or requiring medication. Better is possible. Happiness is possible. I clutched my pillow and attempted to hide my ugly cry from my baby. I allowed the pillow to muffle my noise and soak up the tears. I kept the lights off. “No, thank you,” I responded. I fought around the boxes and the misplaced decorations with the toddler on my hip. The blank walls and empty kitchen cupboards were beginning to taunt me. Somewhere between the positive pregnancy test, selling our home, and purchasing a new home, life’s requirements began steering our hearts and our schedules. “Your sun shall no more go down nor your moon withdraw itself for the Lord will be your everlasting light, and your days of mourning shall be ended,” Isaiah 60:20. When I began to piece together arrangements for bringing my baby home in 2015, I worked to fill every gap I could possibly imagine. I planned to have my mother here to help with daily chores. I arranged meals to come in from the church. I organized dog walkers to help with Baylor. I wrote a list on my fridge of daily and weekly to-do’s. I washed, folded and organized all the baby clothes in advance and tucked them neatly into drawers. I put together “welcome” stockings for houseguests filled with lotions and other treats to sustain them while at our home. I carefully planned for every possible need that would arise. I did not, however, plan my suicide.